Amitabh-Shah Rukh's twitter Banter in FULL-SWING ahead of 'Badla'! Bollywood actors Amitabh Bachchan and Taapsee Pannu are yet again ready to slay over the audience's heart and recreate the magic with their upcoming film Badla. While the social thriller will be remade by Boney Kapoor and the trailer of their next upcoming flick together is all set to release tomorrow. However, ahead of the trailer release, there was much banter going on between Zero actor Shah Rukh Khan and Amitabh Bachchan on Twitter. 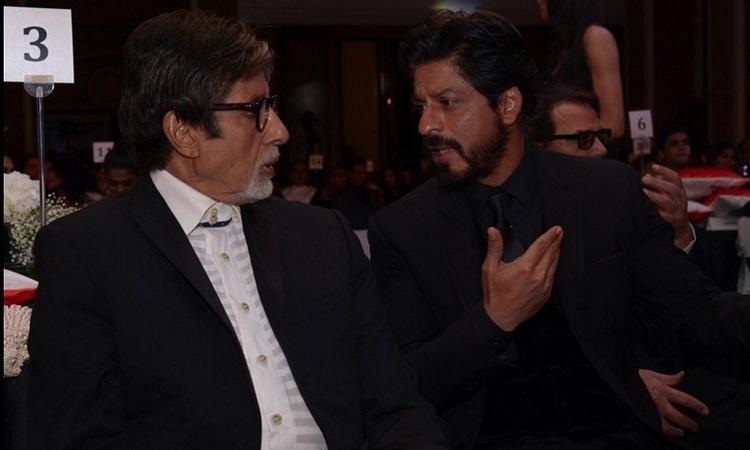 Shah Rukh was the first one to tweet, "Main aap se Badla lene aa raha hoon @SrBachchan saab! Taiyaar rahiyega..." To this, the Thugs of Hindostan actor quickly retorted, "Arey bhai @iamsrk, Badla lene ka time toh nikal gaya .. Ab toh sab ko Badla dene ka time hai." Badla is being co-produced by Shah Rukh Khan and his wife Gauri Khan's Red Chillies Entertainment along with Azure Entertainment. On the professional front, Amitabh Bachchan would also be seen in Ayan Mukerji's Brahmastra alongside Ranbir Kapoor and Alia Bhatt. The fantasy film trilogy, the first part of which is scheduled to release this Christmas, would also see Akkineni Nagarjuna, Dimple Kapadia, Divyendu Sharma and Mouni Roy in pivotal roles. FIRST look of Amitabh-Taapsee starrer out now; TRAILER out tomorrow! Rakeysh Omprakash Mehra launches 'Mere Pyare PM' trailer!